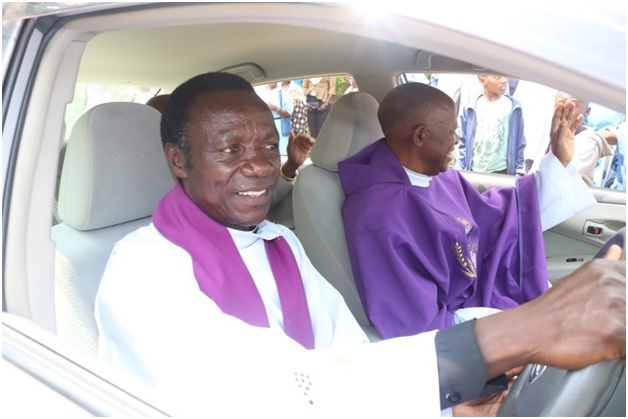 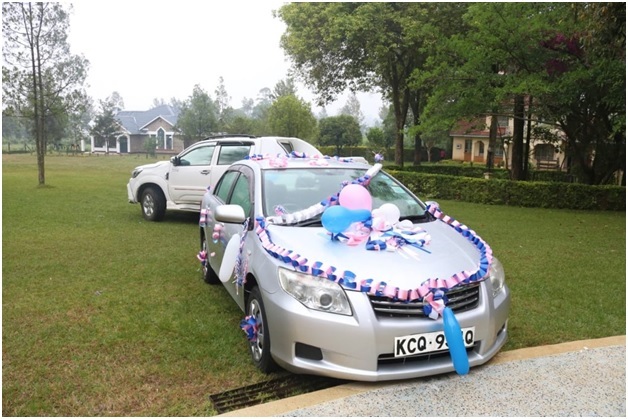 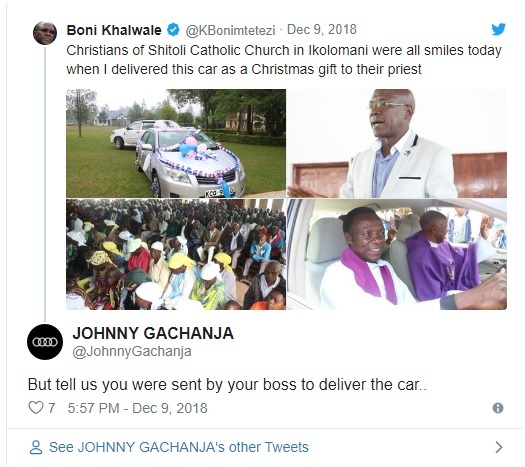 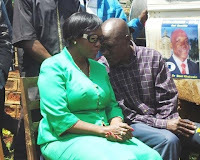 Monday, December 10, 2018 - Former Kakamega Senator Boni Khalwale elicited mixed reactions after he posted photos of a brand new car that he donated to a Catholic priest in Ikolomani. 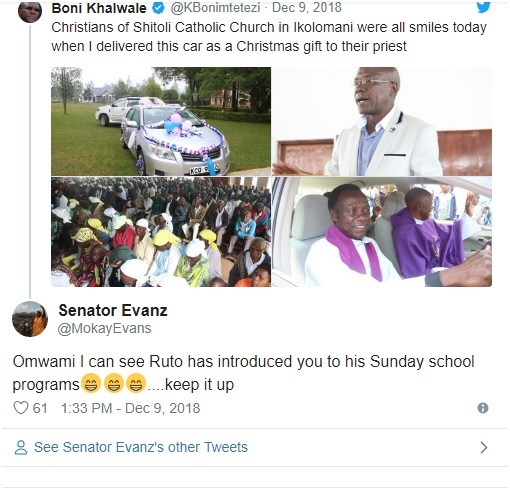 According to Khalwale, the car was a Christmas gift to the priest but Netizens roasted him mercilessly, claiming that he was using handouts given by Deputy President William Ruto to seek political mileage. 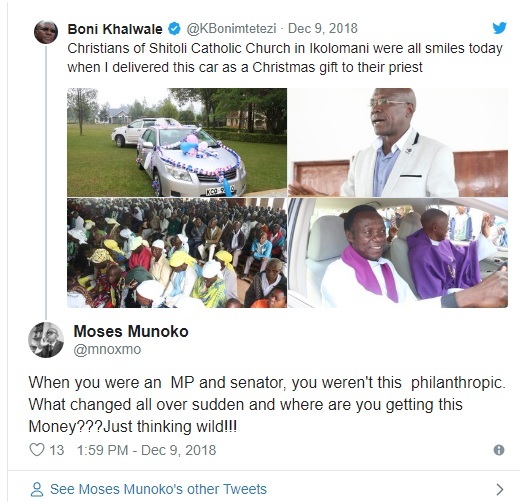 They don’t understand where Boni has been getting all this money he has been splashing around from. 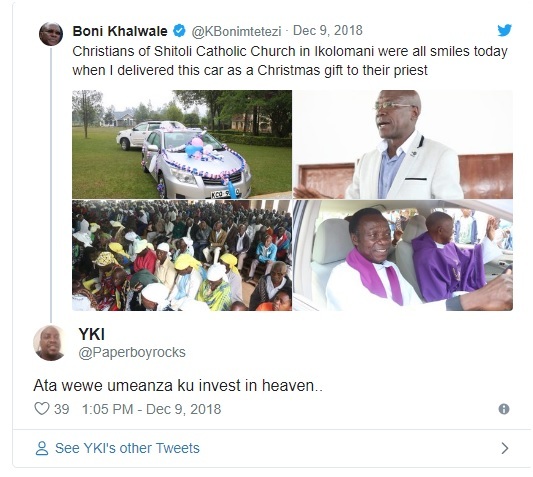 Check out some of the reactions from Kenyans on twitter after he donated the brand new car to a local priest.